Support The Human Family Giving Hearts Day, February 14th, 2019. Giving Hearts Day is the largest 24-hour giving event in North Dakota and northwestern Minnesota. 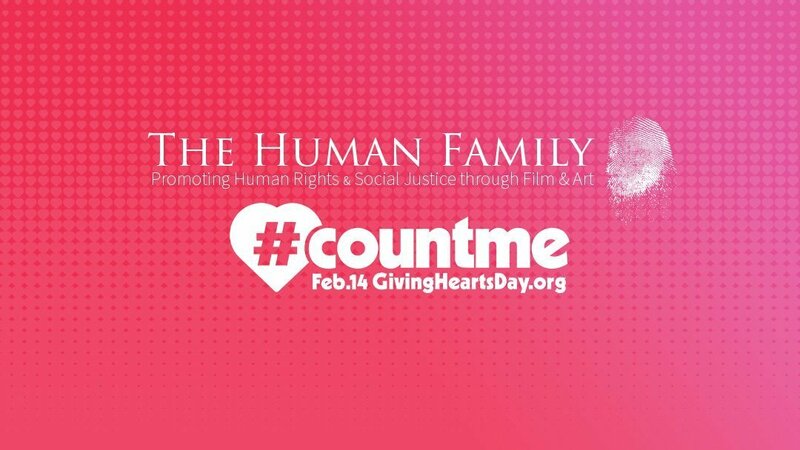 Each year, Giving Hearts Day provides a platform for charities to fund their missions through an ever-increasing community of givers.​ Thousands of people rally around hundreds of nonprofits in our community saying, “count me” as a Giving Heart for charity. #GivingHeartsDay co-hosted by Dakota Medical Foundation, Impact Foundation, and the Alex Stern Family Foundation. Through a generous challenge grant to The Human Family, each dollar donated up to $5,000 will be matched dollar-to-dollar. Your $50 donation becomes $100. Your $500 donation becomes $1,000. Your $1,000 donation becomes $2,000. We want to count you as a Giving Heart! 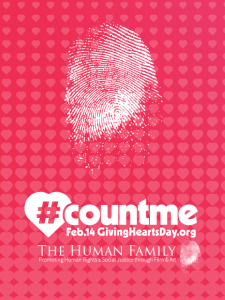 Say #countme on February 14 by supporting The Human Family.